Available from wholesale growers in autumn ready for planting Daffodil Bulbs are sold in bulk as well as individual named varieties in packets ready for resale. Sold as potted plants as well as loose and pre packed bulbs, daffodils are most commonly sold in winter while dormant. Wholesale growers offer bulk quantities for fundraising as well as re packing. Literally 100s of varieties with different flower forms are available, some are old favourites others are new releases. Grown in the garden, containers, window boxes and also used for mass planting in public displays, Daffodils are one of the most popular of all flowering bulbs due to the hardy nature. A few ‘Bulk Plantings’ of Daffodils have been introduced to the urban landscape over the past few years, notably in the Fitzroy gardens in Melbourne where thousands of bulbs have been planted beneath the deciduous trees. Growers and suppliers to the landscaping and retail trade in Australia have been established for many years and provide a wide range of Daffodil bulbs ready for on sale or planting out. Bulbs are also supplied to fundraising groups. 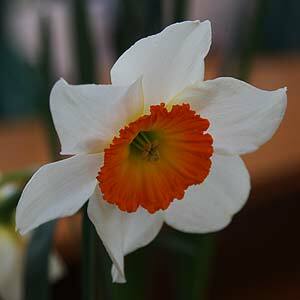 Wholesale or ‘Bulk’ daffodil bulbs are available for sale from the following suppliers.